as pencil and ink sketches on Dr. Seuss’s drawing board? The best artists of any generation are capable of creating powerful emotional bonds between the work they create and those that view it. However, Dr. Seuss has surpassed nearly all 20th century artists in this regard, having now sold over 650 million books worldwide. In the case of the Cat and the Grinch, both have gone on to be the subject of multiple television programs and some of the highest grossing feature films, with the Grinch scheduled to star in yet another film in the fall of 2018. The Cat has played a starring role in multiple Seuss books and earned the coveted accolade as the logo for one of the most successful book publishing ventures in history, Random House’s Beginner Books Division. The Cat was one of the first to give us permission to tap into our childhood ambitions of unimpeded fun. He effectively broke down the paradigm of being an adult and allowed us to be a child alongside our own children as we shared his stories. And the Grinch . . . it was his revelation that the spirit of being human is not in what we have materially, but rather in what we hold dear in our heart that cuts through the myriad of outside media forces, drawing us inward to what matters most, regardless of the decade in which we live. Dr. Seuss’s greatest power, and ultimately the reason these two iconic characters remain integral to our lives, is his ability to seamlessly convey so much emotional content into the few words and sparsely drawn lines that grace each page of his books. 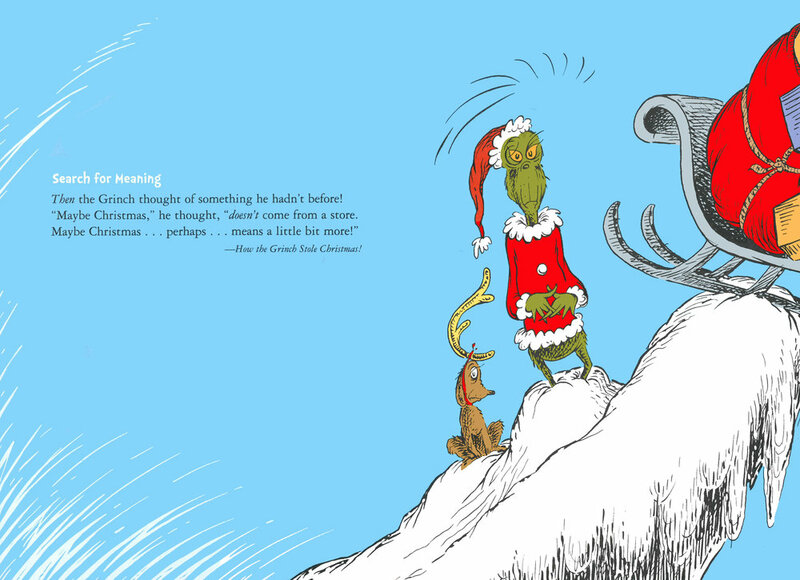 We now find ourselves in an age where Seuss’s “less-is-more” ideals have fallen into the abyss of social media, smart phones, and instant messages. However, in the quiet moments free of devices, when a child, a young adult, or a grandparent sits nestled under a warm light focused on the stirring ideas and primary colored illustrations of a Dr. Seuss book, that we once again find the essence of what connects us as humans. Therein lies the magic that we celebrate on this milestone occasion – the 60th Anniversary of The Cat and The Grinch! 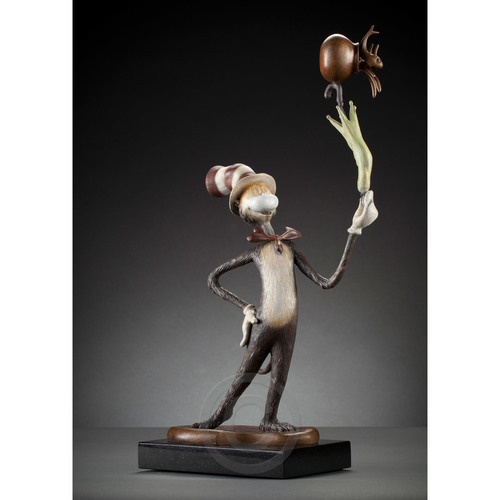 We are proud to bring you these remarkable artworks and the opportunity to commemorate Dr. Seuss’s iconic ideas within your own personal space or professional environments. Limited Edition of 395 Arabic Numbers, 99 Patrons' Collection, 155 Collaborators' Proofs, 2 Printer's Proofs, and 5 Hors d'Commerce. An additional 60 prints will be specially reserved in commemoration of the 60th anniversary of The Cat. A limited quantity of prints from the Arabic portion of the edition have been designated as matching numbered suites for these 60th anniversary titles. An additional 60 prints will be specially reserved in commemoration of the 60th anniversary of The Grinch. The Cat and Grinch Bronze Works, a 60 Year Celebration! In honor of the 60th Anniversary, the available bronze works from The Cat and The Grinch will be specially stamped with a commemorative “60” for those castings made during this 60th year celebration. This exclusive collecting opportunity will only be available during this 60th year. Each casting will bear an embedded stamp along with special documentation memorializing the unique nature of these limited castings. Important Note: Any Life Size or Monumental castings of The Cat and The Grinch will also bear this exclusive stamp during this 60th Celebration. Click here to see these important works: The Grinch / The Cat Life Size / The Cat Monumental. For more information on other works from the Bronze Tribute Collection, please click here.